Few are as well respected in Hollywood as Michelle Williams. The 38-year-old American is one of the best-loved stars in tinsel town, and holds a special place in the heart of Aussies thanks to her marriage to Heath Ledger. And it turns out that behind the scenes, she's just as delightful as she appears in public, with a co-executive producer on Williams' latest project detailing their close relationship during filming. FX series Fosse/Verdon, which will be available to stream on Foxtel from May 26, is an eight-part series chronicling the lives of legendary choreographer and director Bob Fosse (Sam Rockwell) and his wife and muse, Broadway dancer Gwen Verdon. Their only daughter, 56-year-old Nicole Fosse, served as a key creative consultant and co-executive producer on the show. She told news.com.au how devoted Williams was to doing justice to the talented Verdon. "I was on set almost every day, I worked with both Sam and Michelle independently outside of the studio," Nicole said. "Sometimes Michelle would motion over to me (on set) and be like 'what am I missing?' - looking for inspiration from me. "Michelle is such an incredible actress. She is always coming from such a genuine and authentic place of creating depth and nuance in the character of my mother. "My mother was quirky. She was a little bit offbeat and I've always imagined it could be very easy for an actress to not understand the depth of all the emotions in my mother, and the contradictory qualities of being incredibly strong and vulnerable at the same time, and Michelle has really been able to do that." 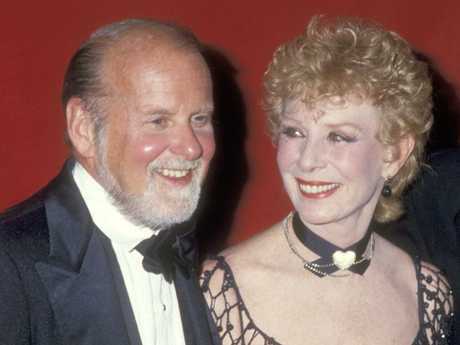 Fosse and Verdon - who were wildly famous in the 50s, 60s and 70s - are remembered around the world as having changed the face of entertainment together. Verdon was one of Broadway's greatest dancers, with all marquee lights on Broadway dimming on the night of her death in October 2000. Fosse, the only person ever to win an Oscar, Emmy and Tony in the same year, is known for his many works including Chicago and Cabaret, with his unique choreography transcending into modern works, namely Beyonce's Single Ladies film clip. But his obsession with his work, extramarital affairs and drug addiction saw him spiral into depression, with Verdon - who was saving his productions - unable to save him from his demons. He died of a heart attack in her arms in 1987. Despite this, Nicole said she did not see her father's obsessive work life as unhealthy. "I completely understand that when you're in the creative process, it's very difficult to leave that and turn off that part of your brain and engage in other activities," she said. "I don't think that's necessarily unhealthy, I think that's how art was created." Nicole was only a little girl when her parents' marriage began to strain in the late '60s, and despite this, she said she had fond memories of their family time together. "I remember dancing around the living room with my father and I didn't see too many kids dancing around their living rooms with their fathers," she said. "My mother was extremely creative, we were always making things together, from cooking, to making candles, soaps and ornaments. "There were a few emotional moments (watching the series) but a lot of time has passed and I have a different perspective. "There were a few moments where I realised that they had been quite emotional for me at the time when they happened, but they no longer are." Fosse/Verdon will be available to stream on Foxtel from May 26.